In his first step for transforming church life, Victor Choudhrie suggests that we rewrite the job description of the professional clergy. Instead of employing professional clergy we should expect leaders to encourage the sheep to serve one another. Here's the first of Victor Choudhrie's steps for transforming the life of the church, in his own words. There's a lot to digest, right here in step one. It is written on the assumption that the reader is currently involved in a typical western denominational church of a particularly traditional kind. There are professional clergy, people who are paid to work as pastors or vicars or whatever they may choose to call themselves. These people have three major roles - speaking from the front, presiding over the sharing of bread and wine, and fund raising. A change of role - Choudhrie is clear that there must be a change of role. 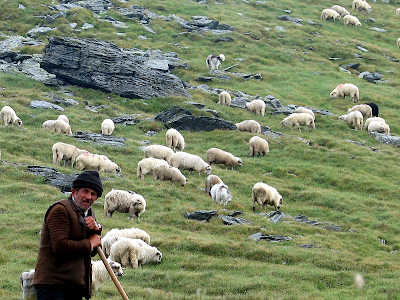 Shepherding involves feeding, promoting health and ensuring there is active reproduction. This would be a farmer's desire for any flock of sheep and it should equally be the shepherd's desire for church sheep. So far so good, at this point those in the newer streams of church may be feeling they are doing a reasonable job of meeting that first step. Catholics and Anglicans, however, may already be having a hard time accepting some of the changes being proposed. But there's more! Choudhrie insists that the sheep themselves must be encouraged to act as priests and to take responsibility for baptising, breaking bread, and equipping others for capturing new followers. And the members are to learn to submit to one another and themselves do the work of church leaders. This may give pause for thought to many more of us. 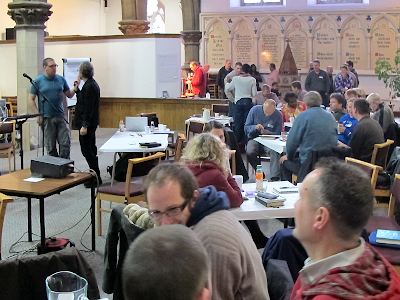 Probable responses - How will traditional churches receive the suggestions in step one? There are three possibilities. Some may reject the step out of hand because it goes against church tradition and denominational rules. Others may try to make adjustments to bring their current model of church more in line with the requirements of step one. They might, for example, encourage selected and trusted members of the congregation to speak from the front from time to time, or take charge of communion, or manage a home group. And some might accept step one as it stands and make fundamental changes to the way church operates. What problems do you see with each of the three responses? If the sheep are to do the work themselves, is a shepherd still necessary? What do you suppose Choudhrie means by a 'flat church structure'? Here is a stunning piece of colour movie film from 1939 showing some of my local landmarks, The Crown Inn and the Akbar Tandoori in Eaton Socon. The photographer drove along the Great North Road from London to Grantham, stopping to take these images on the way. I recently found a YouTube video of a journey along the Great North Road from London to Grantham in August 1939. As I live in Eaton Ford (just a few hundred metres west of the route) it was fascinating to see some local landmarks that I know well. 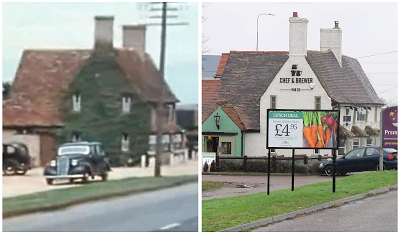 On the right, side by side is a still from the 1939 film and a photo taken yesterday, both show 'The Crown' in Eaton Socon. The main changes are an extension beyond the further chimney, removal of the ivy, the addition of a porch, the signs, two chimney pots and the loss of the telegraph pole. 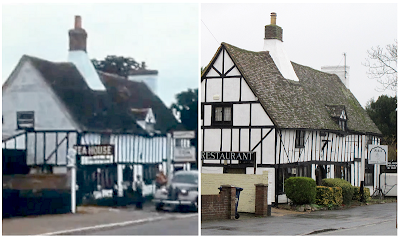 And here on the left are two further images, this time showing a tea room, now the Akbar Tandoori Restaurant. Once again we can see some changes, but the scene is still very recognisable. The YouTube video is shown below. It starts in London and 'The Crown' pub appears at 2 minutes, 37 seconds. This is followed by the old RAC sign for Eaton Socon, and then the tea house (now the Akbar Tandoori). The next shot shows a farmhouse beside the road near Southoe, then some open road followed by the Buckden sign and some shots in Buckden itself. After that there is a view of the Brampton Hut Hotel and then the journey moves on beyond my local area. It would be interesting to know what camera and film were used to take these cine shots. Is it early Kodachrome brought over from the USA to record Britain just before the Second World War? Or was it a European process, perhaps Dufaycolor? How much has the area where you live changed in the last 73 years? Are you aware of the local history of your town or village? Remarkably, Ronny Edry has started a viral peace campaign on the internet. 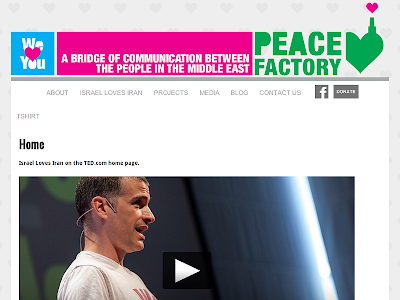 Initially it was 'Israel loves Iran', then 'Iran loves Israel', and now it's worldwide and growing apace. Take a look at the Facebook, Google+ and Twitter accounts. What a great idea! Israel and Iran are at best very suspicious of one another, at worst sworn enemies. Iran would like to see Israel destroyed, Israel is considering a strike at Iran's atomic research infrastructure. Ronny Edry started something bigger than he expected when he put up a simple poster on Facebook expressing love towards Iran. After a while it built quite a bit of momentum with replies from people and places he didn't expect. It's not merely that his poster has gone viral (although it has), but rather that the whole idea of loving one another has gone viral. Quite a movement! Ronny, knowingly or unknowingly, has reiterated Christ's message to his followers to 'love your enemies' (Matthew 5:43-48). To our shame we have not always done that as we should. Well done, Eddy. 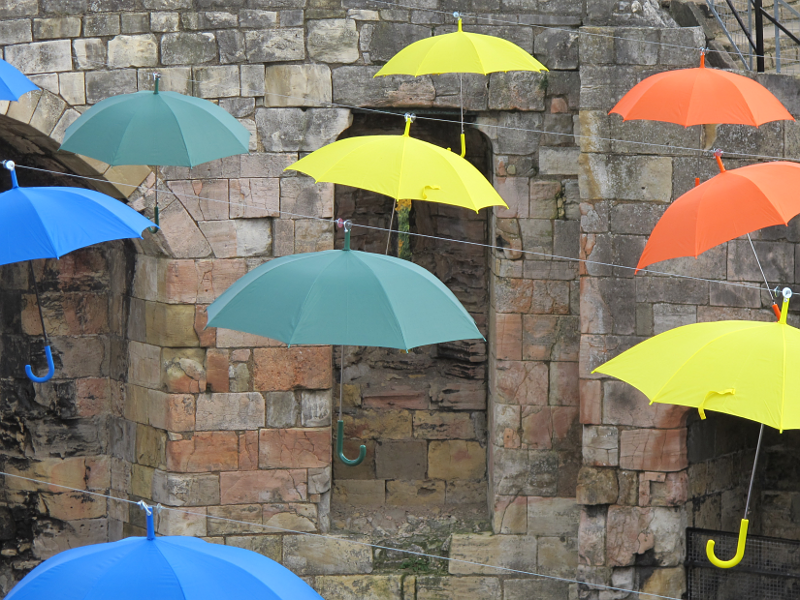 And well done everyone who has taken the idea and run with it. Watch this video of Ronny speaking at TEDx in Jaffa, Israel. It's a video you really should definitely not miss. Do you think Ronny's love movement has lasting value? How many people might a viral idea like this reach? Can you think of further and novel ways to contribute to Ronny's idea? Is there anything greater than love? Who might you offer love to today? On the one hand is law and on the other grace. Can I base my daily living on either of these? Is there any other way to live my life? We look at obedience in the life of the believer, based on Christ's love within and the actions that stem from this. Sometimes things are not as clear as they seem. convinced there are standards we must meet in our lives. Others may say they are free in Christ to do all things since he dealt with sin once and for all. Perhaps the former are in the majority although it's hard to tell. At the absolute extremes we would be so law-focussed that we might rely on our own purity, or so grace-focussed that we might treat continuous forgiveness as our right. It's unlikely that anyone could be found at either extreme, but some might come close. The rest of us are spread out in a continuum between law and grace. So who is right? How should we live our lives? It doesn't often occur to us that both might be far from the simple truth. Law - If I depend on the Law I'm like the Pharisees who criticised Jesus for allowing his followers to harvest and thresh grain on the Sabbath. As they were walking through the fields they took ears of grain and rubbed them between their hands to extract the seeds to eat (Mark 2:23-24). It was hardly an industrial-scale process! The Pharisees also prided themselves on meticulously tithing even the smallest quantities of herbs and spices like cumin (Matthew 23:23). Meanwhile, for all their complaining about others and pride in their tithing they failed to help the poor or take pity on those in difficulty. Adherence to the law is not sufficient. Or more correctly, it would be sufficient if I had never sinned and could continue to lead a sinless life. But I haven't and I can't. It's already far too late for me to depend upon observing the Law. Law is a gift from the Father. Grace - But if I look to grace am I any better off? Perhaps that depends on how I understand grace. If I see it as a precious gift it is all I need. If I treat is as a licence to sin without further consideration then I lose its true value. Grace came at great cost, it is a precious, precious thing. It enables us to stand confident in the presence of the Most High, to see him as a loving Dad, to recognise we are forgiven, special, precious, loved, honoured and glorified by the Creator of the universe. I dare not abuse it, I am called to receive grace as a gift but also to offer it freely, to forgive as I have been forgiven, to love as I have been loved, to honour as I have been honoured. Grace is a gift from the Son. Obedience - Law is too rigid. It's not the right place to look, I can never earn forgiveness and justification by obeying the Law. Yet grace (if I mistreat it) is too flexible. But there's a third alternative, rarely considered, and it transforms everything. Obedience is good, but obedience to the Law is impossibly hard. It is unachievable. It is already lost. However, grace opens the way, not only to forgiveness, but also to life in the presence of the King. Jesus sent the Holy Spirit precisely so that I could hear what the Father is saying to me moment by moment as I live out my life on this Earth. So rather than a vain attempt to live by obeying the Law, I can now begin to live by obeying his voice, just as Jesus did. This is truly revolutionary! There is nothing I am not allowed to do - as long as I'm told to do it. It's hard to see the freedom and opportunity wrapped up in this statement. Paul writes that even eating food sacrificed to an idol is OK, providing I don't cause others to sin by eating (1 Corinthians 8:1-13). In other words my care for others trumps the law and is made possible by grace. Love wins. It's no accident that Paul judged love to be the greatest thing (1 Corinthians 13). It's not that there are no longer any rules, but in Jesus those rules have been fulfilled and now I'm free to look away from them and focus my attention on Jesus instead. And he'll guide me by the power of the Spirit. It's just as written by Isaiah, 'This is the way, walk in it!' (Isaiah 30:19-21) and by Jeremiah to a disobedient people, 'Where the good way is, ... walk in it' (Jeremiah 6:16). Obedience is a gift from the Spirit. Conclusion - Everything comes from the Father, Son and Spirit. Just as they are inseparable, so too are law, grace and obedience. We cannot pick them apart, we need all three. But the amazing truth is that Jesus ministers all three to us. He is the way, the truth and the life; do you see that those three concepts have the aroma of the Father, Son and Spirit? We can lay them out here. The Father provides law and has the aroma of the truth. The Son provides grace and has the aroma of life. The Spirit provides obedience and has the aroma of the way. But because they are one, you can mix and match and every statement you make remains correct. The Father, Son and Spirit are all about law, grace and obedience and all have the aroma of way, truth and life. There is a wonderful symmetry about the great Creator King, a multidimensional knot that holds the universe together and cannot be unpicked. 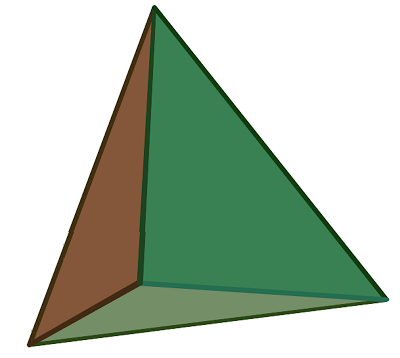 As an aside, the tetrahedron is an interesting geometric shape in three dimensions. There is a base (think of it as the universe or the world). High above is an apex, think of this as the Almighty. There are three faces (Father, Son, Spirit), three edges connecting the apex and the base (law, grace and obedience) and the base has three sides (way, truth and life). The law had to be fulfilled and Jesus does that. Grace is sufficient for me and Jesus provides it. Life needs to be lived and Jesus shines a spiritual light onto my path. He is all in all. Jesus says, 'If you have seen me you have seen the Father'. Jesus came to set me free. And I am free indeed! But he set me free to obey him in everything. How large a part should traditions have in church life? The tragic death of a nurse following a prank phone call from Australia should make us all think about how we deal with other people and how we respond when hurt. We can only behave as we should if we have hearts that are full of love for others. Most people will have heard about the tragic death of Jacintha Saldanha, the nurse involved in the hoax phone call to the London Hospital treating the Duchess of Cambridge. Amidst all the media activity and comment, maybe it's time to take a look at what happened and consider how we should respond. The bare facts are quite straightforward. 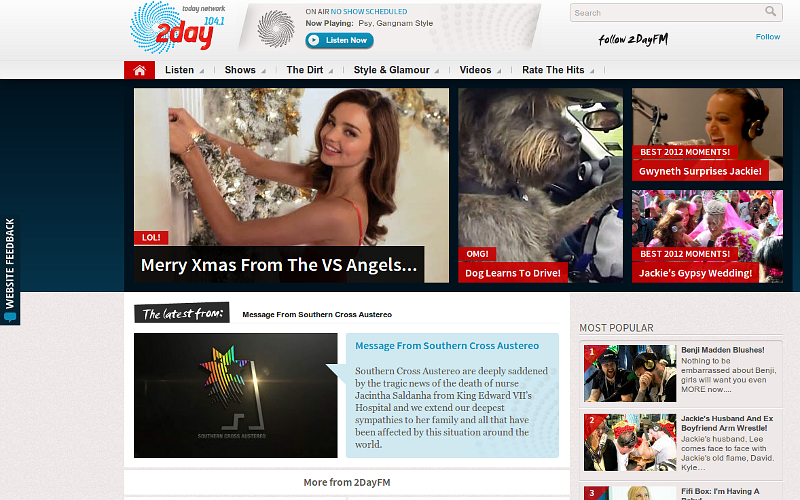 Mel Greig and Michael Christian are radio hosts working for an Australian station, 2Day FM. They decided it would be fun to phone the hospital pretending to be Prince Charles and the Queen asking for an update on Kate's condition, and were quite surprised when Jacintha took the call and put them through to the ward nurse. The nurse on duty answered their questions. Later, when the news of the incident reached the hospital and Jacintha realised what she had done, I can only assume she must have been horrified, very, very embarrassed and upset. Later, she tragically committed suicide leaving her husband and children bereft of a loving wife and mother. The suffering - Jacintha's family, her friends and colleagues, the hospital management, the Duke and Duchess and their families are all suffering some level of distress as a result. When news of the suicide reached Mel and Michael they, in turn, were dreadfully upset at what had happened. Something that began as a prank has turned into a nightmare for so many people. Who should we feel most sorry for? Frankly, I feel sorry for almost everyone involved including Mel and Michael. What they did was foolish and unkind, but clearly not intended to cause a death. However, I have little sympathy for the management of the radio station. It seems there have been previous incidents for which the station has been criticised (this is the fourth such event mentioned in the Wikipedia article about the station). But it's clear that listener ratings and company profits were once again put before caring behaviour and ethical procedures. The company's CEO, Rhys Holleran, had the audacity to say it was not possible to foresee the suicide. That is true, but hardly relevant. It's a shameful failure to take responsibility. What was perfectly foreseeable is that any prank of this nature is certain to cause very serious embarrassment and distress. Isn't that the whole point? Embarrassment and distress amuse and excite audiences, keeping ratings and profits high. The station is now going to review its operating procedures, but changes should surely have been made when they were criticised for similar behaviour in the past. What should happen now? - As a bare minimum Jacintha's family need immediate financial support to cover the costs of counselling, loss of income, and to cover whatever extra facilities are necessary for the family to function in her absence. Additionally there will be a need for significant compensation. A wife and a mother cannot be replaced, of course, nor can the lifetime experiences that she has lost. It seems to me right and fair that the radio station should be required to meet all these costs as a bare minimum. And they need to change their standards of behaviour or face closure. I'm glad to hear that the radio station does plan to offer some financial help. This is to their credit, but should not prejudice any independent rulings on compensation or operating standards. The hospital is also raising an appeal for Jacintha's family. They are not guilty of doing anything wrong, but it's possible their handling of incoming phone calls could be improved in some way, especially out of hours. They are looking into this. What can we learn from this tragedy? - Surely the fundamental lesson is that we must always treat people with kindness. Deliberately embarrassing and distressing people, whether for commercial gain or for any other reason is simply not the right way to behave. I hope that Mel and Michael will recover from their shock, grief and sorrow. Their lives will be changed by what has happened, hopefully they will warn others of the dangers of treating people unkindly. The worst thing that could happen now is for anyone else to be harmed. My prayer for Mel and Michael is that they will find the strength to endure this difficult time and to move on, not forgetting what has happened but learning from it. The same prayer goes out for all the managers and staff of the radio station. My prayer for everyone else is that they will be able to forgive. A world without Jacintha is a poorer world, especially for those who knew her. Sorrow and grief are inevitable, nothing can bring her back, the only way is forward. They will all need time, courage and strength to take those forward steps. Father, bless them as only you know how - in Jesus' name. Love - But what we all need in this amazing rainbow world of technology, war, natural beauty, knowledge, suffering, joy and wisdom is more love. Love for one another, love of what is good, endless love, love that never gives up, love that always hopes and believes the best. Only the heart of love can forgive and bless. Here's Paul again (1 Corinthians 13:4-8). Consider reading what the Scot, Henry Drummond, wrote about love in his amazing essay 'The Greatest Thing in the World'. Love is the one thing we need, both to give and to receive. We can't manage this, only Jesus can provide it. He is the source of love, both to give and to receive. Learn more about him from the seven signs in John. If even one person learns about love something good will have come from this desperately regrettable incident. How do you think the radio station might have prevented this? How do you think the hospital might have prevented this? Are you always guided by love in your dealings with other people? How do you measure up to the standard Paul set out? How will you get help? This is the first post in a series on the story of the universe, insofar as we know it in the first eighth of the twenty-first century. In this introduction I provide a little background about my reasons for tackling this subject and my own training and experience in science. I have a new project, and this post is the very first part of it. What I'd like to attempt is a sweeping review of the development of the entire universe, from the earliest moments right up to the present. It goes without saying that this is a rather ambitious task. Why would I want to do this? - There are several reasons. One is the current battle of ideas between science on the one hand and people who think they know better on the other. And here I include creationists, the detractors of the evidence for global warming, deniers of human causes of global warming, those who are anxious about the side effects of inoculations and all sorts of other groups denying that scientific understanding of this or that topic is correct. I'll refer to these disparate groups as deniers and disbelievers (DDs). DDs have a variety of reasons for their views. Some are genuinely concerned that science has a wrong view that is dangerous or harmful. Others may have some kind of hidden agenda. DDs of both kinds can be extraordinarily resistant to logical argument. Some (a small minority) can be manipulative and a few have been abusive. Another reason is simply to share what are to me profound and amazing truths about the nature of existence. When you see something astonishing and beautiful, don't you want to share it with others? Fun along the way - I have a scientific background (I was a professional biologist for many years) and I enjoy explaining things. I don't know a whole lot about fields other than my specialist area of biology, but I do have a science education and I possess the basic tools needed to understand scientific arguments and the principles by which science progresses. I expect we can have a lot of fun along the way. Get ready for some amazing images and videos. Prepare to meet some extraordinary characters. And don't be surprised if some of the things we see are truly beautiful and awe inspiring - that's the way the universe is. To see some of these now, click on the photo of distant galaxies for a more detailed view, and take a look at the scale of the universe, an interactive journey up and down from the scale of our normal environment. Not all my blog posts will be devoted to this journey of discovery. They'll be interspersed with much else besides - all the other topics I've posted on in the past. But every so often I plan to slip in another post in this series on the story of the universe. I'll link the posts together so you can easily browse back and forth between them, and there's an index to help you jump straight to a particular topic. 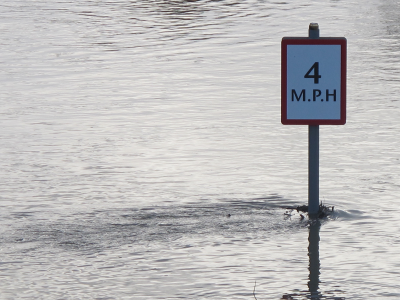 Broadly speaking, is your inclination to trust or distrust science and scientists? 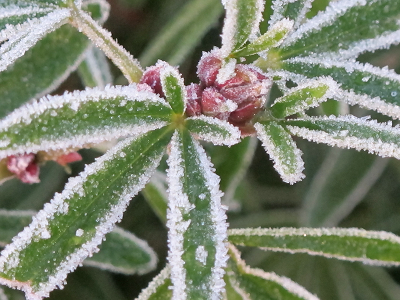 Do you find the natural world beautiful, perplexing, and thought provoking? 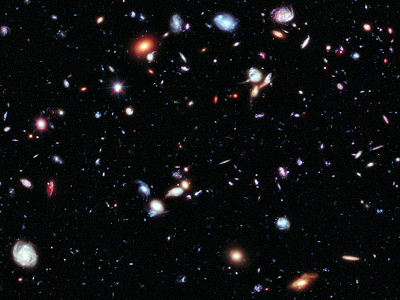 In your opinion, does the existence of the universe demand an ultimate cause? If not, would you say it's enough to assume that there is no cause? Some fifty people came to the Newforms National Gathering where Alan Hirsch was speaking on movements. The sessions were good with plenty of time for questions, group discussion and feedback. Alan's long years of study and experience came through clearly as he spoke. Last weekend I drove to Nottingham to join about fifty other people for the 2012 Newforms National Gathering. Alan Hirsch had kindly agreed to come as the main speaker, and the meetings were hosted by Peter and Marsha Farmer assisted by helpers from Nottingham and elsewhere. People from all over Britain had booked places and travelled to join in. Some had come from Europe and even as far as Australia to be with us. We met at St Saviours and at the Riverway just opposite (both made us very welcome). Hearing from Alan and Peter - The sessions were pretty intensive, but breaks for tea, coffee and lunch were frequent and long enough that our concentration didn't lapse. Alan Hirsch and Peter Farmer were so interesting and engaging that we might have managed with even fewer pauses. Many people already knew one another from previous meetings, at least slightly. Those who were new were soon joining in the conversations during the breaks and making new friends. There were sessions on Friday evening, all day on Saturday, and Sunday morning and early afternoon. Topics covered included apostolic movements, networks, mission, disciple making, viral spread, and reproduction. Alan drew on his years of study and experience on these subjects, covering the central place of Christ himself in detail and then looking at the five gifts in turn. Alan spoke about discipleship and church planting movements, how they work, why they fail, the factors involved, and the fivefold ministry gifts (Ephesians 4:11) - apostles, prophets, evangelists, shepherds and teachers (APEST). We were encouraged to interrupt the main sessions with questions and Alan was willing to respond before continuing. This made the whole experience more interactive and useful. Peter spoke more briefly on some of the practical aspects and also gave us time for discussions at our tables, with feedback. Here's the Ephesians passage in its proper context, Ephesians 4:11-16. Taking it further - Alan Hirsch has published books on each of these aspects, they're listed and introduced on 'The Forgotten Ways' website. Perhaps I need to work my way through all of them. Alan encouraged us to consider what our own gifts might be and explained that one of the best ways to discover is to pay attention to what others say about us. We are, after all, part of a body and the body as a whole recognises the value and function of each part. We went home challenged and encouraged. The video on the right includes comment from some of the people present. The National Gathering is an annual event. Check the Newforms Events and Training pages for details of next year's gathering and other meetings. What do those around you in church life think about your gifts? You may not need to ask - just listen. Do you think you might come to the next National Gathering in November 2013? Have you read any of Alan Hirsch's books? How do you think you can apply these ideas in the place where you live and in the church there? Life is so amazing! It's always full of promise and new vistas unfolding. This has just happened to someone I know and it's affecting me too. Take us all deeper into you, Lord. Open new horizons, lead us where you want us to be, make us eager to follow you into the harvest. Chris Duffet has returned from India. Here's what I wrote about the start of his trip. As you can see it was a challenging and very exciting time. I wanted to share it with you because I hoped it would encourage you and make you eager to grow and live daily for Jesus. 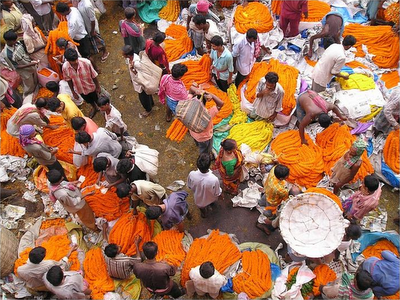 Returning from India - This time we'll consider the rest of Chris's trip, his return, and how he feels about it all. So now you can sense how he has come back excited by what he saw and all that happened. 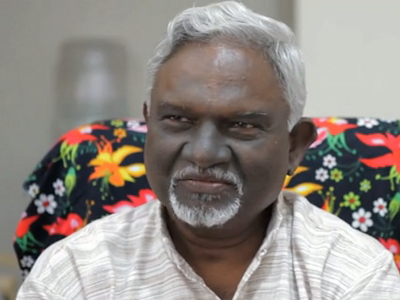 He has found his India experience to have triggered a step change in his awareness of the life of Christ within him. That life is in all of us, just waiting to burst out into the world around us. Chris has a renewed and deepened sense of mission and a fresh determination to apply it here in the UK. He's found a whole new level of life - and I want that too! I want to walk daily deeper and wider and further with Jesus. 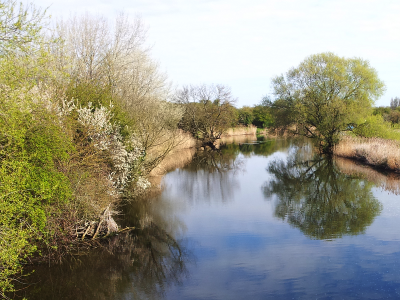 The River of Life - Here's what Ezekiel wrote after he'd seen the River of Life in a vision (Ezekiel 47:1-12). The man brought me back to the entrance to the temple, and I saw water coming out from under the threshold of the temple towards the east (for the temple faced east). 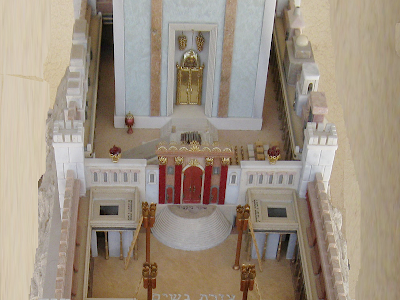 The water was coming down from under the south side of the temple, south of the altar. He then brought me out through the north gate and led me round the outside to the outer gate facing east, and the water was trickling from the south side. 'This water flows towards the eastern region and goes down into the Arabah, where it enters the Dead Sea. When it empties into the sea, the salty water there becomes fresh. Swarms of living creatures will live wherever the river flows. There will be large numbers of fish, because this water flows there and makes the salt water fresh; so where the river flows everything will live. 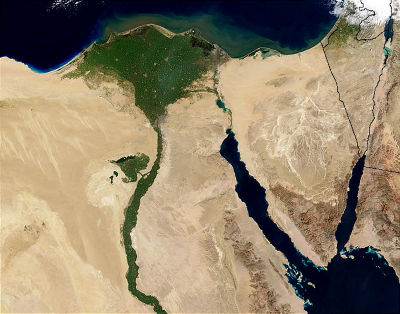 Fishermen will stand along the shore; from En Gedi to En Eglaim there will be places for spreading nets. The fish will be of many kinds – like the fish of the Mediterranean Sea. But the swamps and marshes will not become fresh; they will be left for salt. Fruit trees of all kinds will grow on both banks of the river. Their leaves will not wither, nor will their fruit fail. Every month they will bear fruit, because the water from the sanctuary flows to them. Their fruit will serve for food and their leaves for healing. What does this all mean? For now just read it. Ponder it. Pray about it and listen to what Papa says about it. Tomorrow I'll share what it says to me. Can you share an experience from your own life in which you received a deeper and wider revelation of what Jesus is doing in this world? Once we've been touched in this way, what can we do to prevent the vision fading? Chris mentions urgency and willingness. Do you share these feelings? Are they important? What does Ezekiel's vision say to you? Here are some brief comments on ten points from a magazine article. All of these points aim to keep women in a subsidiary role in church life. We look at them to see if they are justifiable and if not, why not. Charisma Magazine has produced a list of 'ten lies the church tells women'. This sounds very alarming and 'lie' is a strong and emotive word. Are they right, is it true? Let's take a look at the list item by item and consider it. The ten points are certainly worth pondering. Are they deliberate lies, are they perfectly reasonable ideas, or are they just careless and unthinking remarks? I'll comment briefly on each item as we go through the list, but I strongly recommend taking a look at the original article where further arguments are provided. Here, then, are the ten points. God’s ultimate plan for women is that they serve their husbands - I'm not sure how widely this is taught, but it's clearly not correct as it stands. If we are to serve anyone it is first Jesus and secondly one another. Women can’t be fulfilled or spiritually effective without a husband - I'm inclined to say, 'Let them be the judge of that!' Paul suggests we might prefer to stay single so we can focus more fully on living for Christ (1 Corinthians 7:34), so it's preposterous to suggest that spiritual effectiveness depends on marriage. Women shouldn’t work outside the home - So... no female nurses, or teachers? Lydia worked as a fabric trader and hosted Paul and his fellow travellers in her home (Acts 16:14-15). Women must obediently submit to their husbands in all situations - All situations? Really? What if the husband requires her to renounce Christ? We are probably all familiar with Ephesians 5:21-33, but notice that Paul begins by saying we should submit to one another and ends by stressing love and respect. Does 'do what I say' really equate with love, respect and mutual submission? A man needs to “cover” a woman in her ministry activities - The whole idea of 'ministry activities' is suspect - for both men and women. We live to serve Christ in everything we do and say and think. We dare not think in terms of ministry and non-ministry activities. Anna is a good example of a woman without a man to 'cover' her (Luke 2:36-38). Women must not teach or preach to men in a church setting - Paul writes that women are to remain silent (1 Corinthians 14:34), but he also writes that the brothers and sisters (implied, eg NIV) should each speak or sing (1 Corinthians 14:26). Whatever he means, it's much too simplistic to regard it as a blanket ban on women speaking. It's necessary to dig deeper than that. Women are more easily deceived than men - There is no biblical basis for this idea. None. 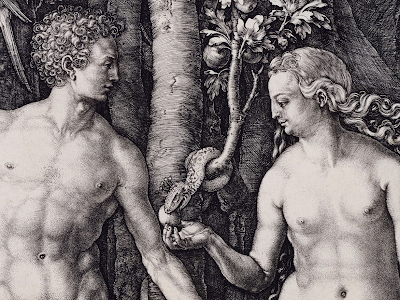 Genesis 3 is often offered as proof, where Eve says that the evil one 'deceived me, and I ate' (Genesis 3:13). But this is, frankly, a cop out. Adam also heard the temptation and ate so he was equally deceived. Women who exhibit strong leadership qualities have a 'spirit of Jezebel' - This one is just made up. There is no suggestion of anything like this in the New Testament, no support for the idea at all. It seems to me to be both hurtful and offensive, a criticism that is sometimes wielded like a weapon. There is, perhaps, just one more thing to say; and it's a warning. Be very careful about creating obstacles! (Romans 16:17-19) Let us be both wise and innocent. May the Father and the Son through the power of the Spirit lead us into all truth and build us into the church, his Bride, pure and complete and perfect in every way. May we so love and encourage one another in everything we do that the world will see his nature represented in us. May the body be one just as the Father and the Son and the Spirit are one. In Jesus name, amen. If you are a man, should you insist on these ten points? If you are a woman, should you listen? Truth, authority, service and submission are not part of the fruit. Why not? What and where is heaven? Who is allowed in?, How do we understand the term 'Kingdom of heaven'? We look at Matthew 13 where some parables of Jesus about the 'Kingdom of Heaven' clarify the meaning. It involves secrets, it grows, and it is immensely precious. In an earlier post we considered other species related to our own and asked where we draw the line between human and non-human. In particular, if heaven is a place we go when we die (as many suppose), who and what will inhabit it? Will there be Neanderthals in heaven? Chimpanzees? Cats and dogs? Ants? Earthworms? Bacteria? Where do we draw the line? Do we draw a line at all? The fundamental problem here is that we are misunderstanding the concept of heaven. In other words the view that heaven is a place is not really supported by the Bible. Jesus clearly stated that the kingdom of heaven is among us now. Might it be that if we live in it now we'll find later that it is an eternal state, perhaps one that we do not expect? To help us understand the principles behind the idea of heaven, Jesus told a series of parables. Let's take a look at what those show us about the nature of heaven. Parables of the kingdom - Heaven is a kingdom with secrets that not everybody knows (Matthew 13:10-11). His followers have been given these secrets because Jesus has brought a message about the kingdom of heaven (Matthew 13:16-18). Some people hear the message but don't understand it (Matthew 13:19). Some give up when there's trouble (Matthew 13:20-21). Some are just too busy with everyday worries and material things (Matthew 13:22). But some do understand the message and produce an increase (Matthew 13:23). Although the original seed was good, an enemy has sown bad seeds in the same ground (Matthew 13:24-25, Matthew 13:28). The good and the bad will be separated later and heaven is like a farmer's barn where the harvest is kept safe after the bad has been removed (Matthew 13:30, Matthew 13:37-43). So then, what is this kingdom? - The kingdom of heaven is not a particular place, rather it is the realm in which the King's commands are obeyed. It's a matter, not of geography, but of obedience. In a sense, the Father inhabits our obedience and our praise. He is present in our obedience. He is present when we worship in spirit and in truth. We are the stones of his living temple and he wants to inhabit us. So revisiting our original question, will there be only humans in heaven? I think the answer is necessarily mysterious. Heaven is full of the Lord's glory and filled with his praises, so much is certain. It is also filled with everything that gives him glory - the trees, the stones, and yes, people who glorify and praise him. So the simple answer is 'no', there will not be only humans in heaven. Every obedient created thing has a part to play. So what does it mean to be obedient? What does it mean to glorify the Creator? Are you obedient and do you glorify him? If so, you are assured a place, you are a part of the kingdom of heaven. You will live in his presence for ever. Do you always obey the King? Sometimes? Never? Living in the kingdom is about obedience, are you in or out? How much of your life are you willing to give up to secure the buried treasure, the very valuable pearl? Is the separation of good and bad something you can leave until later? Or might it need to begin in your life right away? What if you put it off? We take a look at Chris Duffet's visit to India and track the first four day's events. The visit to the area around Kolkata is proving very interesting. Chris has been communicating without language, healing without medicine, and travelling where there are no roads. Chris Duffett is the President of the Baptist Union here in the UK. He lives in a village not far from me, I've had the pleasure of meeting him several times, and I can report that he is a most extraordinary and special chap. At the moment he is visiting India with an international group, they're in the region around Kolkata in the north-east, in the state of Bengal, not far from the border with Bangladesh. Day 1 - Here are a few recent quotes from his blog, 'Be the light'. The first extract is from his first day in the country. The poverty is overwhelming and not being able to communicate using the language humbling. A woman walked with me for half a mile or so carrying her baby. She asked and asked and asked some more for money. I didn’t have anything to give. It was humbling as she stuck so close and glue-like walked with me thinking I had money to give. In the end I simply looked at her and prayed over her and her child. I had nothing else to give. Day 2 - On the second day he was invited to speak at a meeting and afterwards he invited people to come for prayer. He was overwhelmed by the numbers. Day 3 - On the third day in a very remote village where nobody had previously shared Jesus, Chris was invited to a woman's home. We sit outside on a straw mat amongst the chickens and ducks and I am introduced by Benjamin. I share the story of Jesus and how he never turned people away, how he welcomed all kinds of people and healed them. I spoke on the story of the 4 friends bringing their friend on a mat and because there wasn’t any room on the house, they lowered him through the roof! They loved the story. Benjamin added some more and then I asked if I could pray for the lady who couldn’t walk. I don’t know whether she was healed or not, but my goodness she loved being prayed for. She was so thankful. Humbling. As we prayed I sensed the most beautiful peace coming to her. Students throng everywhere on Campus and it feels mega crowded. I learnt that Theology isn’t just for ministerial training and the Vice Principle of the Theology department Rev. Dr. Pratap Gine explained that many people who wouldn’t consider themselves Christian also study alongside those who are training to become pastors. I wasn’t quite sure what to make of this and kept thinking of some of our baptist colleges in the UK and how that couldn’t really happen. I hope this has whetted your appetite! If you want more you will need to visit Chris's blog again over the next few days to see what happens next. Is there something special about meeting simply? Have we in the West lost something by making it more complex and structured? What is your attitude to extreme poverty? The poor are all around us where we are, how can you reach them? Are there advantages or disadvantages in allowing unbelievers to study theology? Why do we need to be 'like little children'? Is faith simple or complicated?